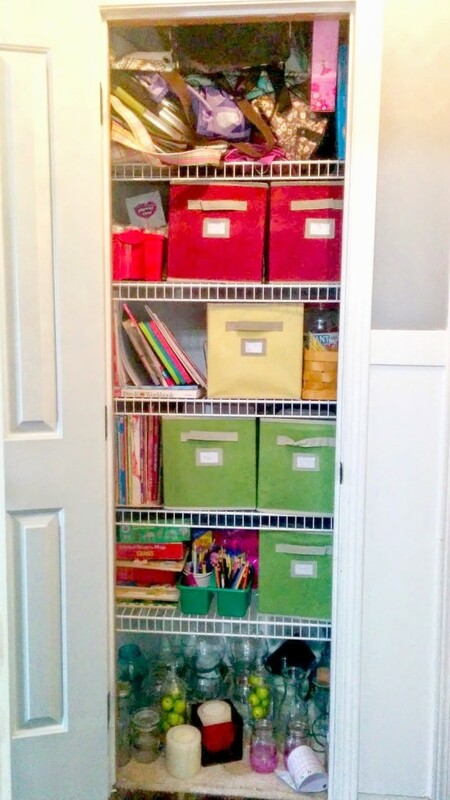 Today I am sharing the art closet organization, take 2. I mentioned in the original post that I was happy with the function of the space. But, wanted to up the style and pretty for the closet. Also I wanted to try and find a way to organize with the colors. I gave the kids rules, two shelves are green for go. Have at it, be creative. Yellow, slow your roll and ask before you partake in the artistic fun. Finally red; stop, do not pass go, ask and you might receive. This is the adult supervision section of the art area. I wanted to figure out a way to make the colors correlate with bins or shelves. 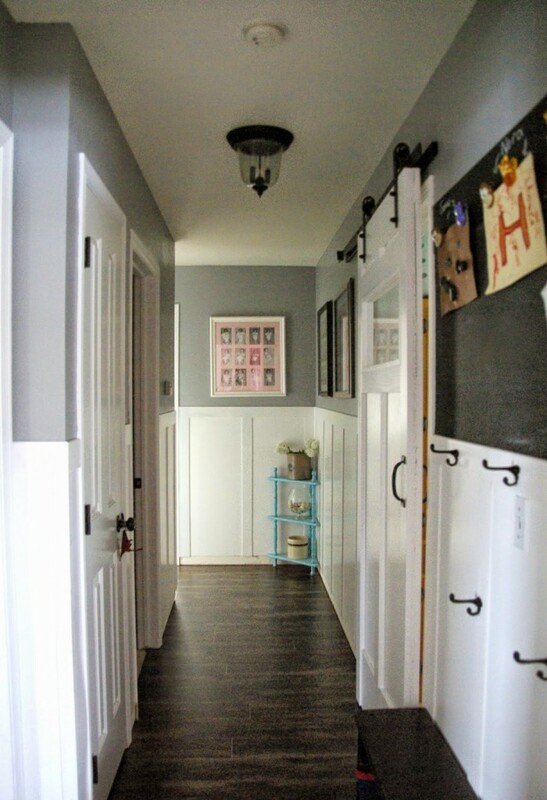 The nice hallway was hiding a dirty, unorganized secret lurking in the closet…. Here is how I left it after the great organization. It worked, but I needed to make it fancy. 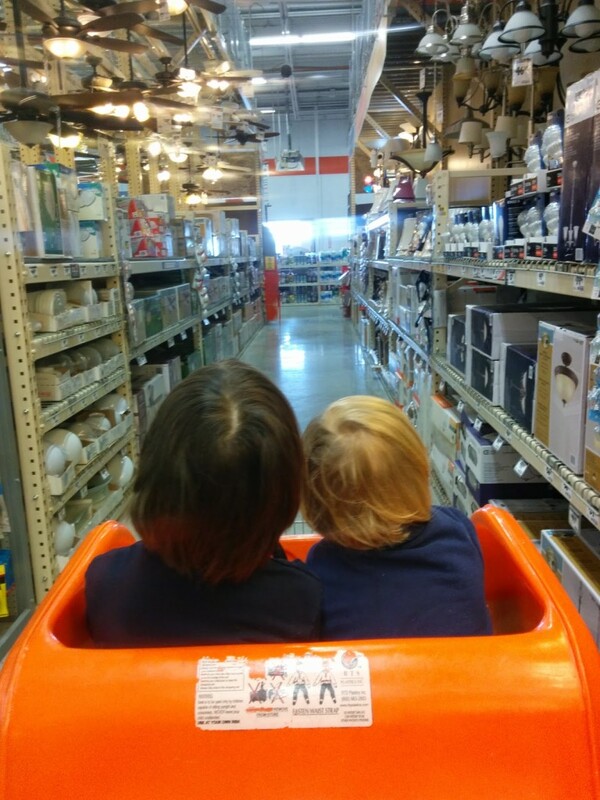 The boy’s and I headed to Home Depot for some organization options. Actually we were there for some other things, but I figured I would take a look at the bin and basket options here. I lucked out and found this car cart for Caleb and Gavin to ride in while I shopped. I also only had two kids, it made this trip so easy. Truth time, I would purchase a fold up version of this that could fit three kids and take it to every store. All day, everyday. Not even care what I look like. These trips are so much smoother when one of these are available. I found these. 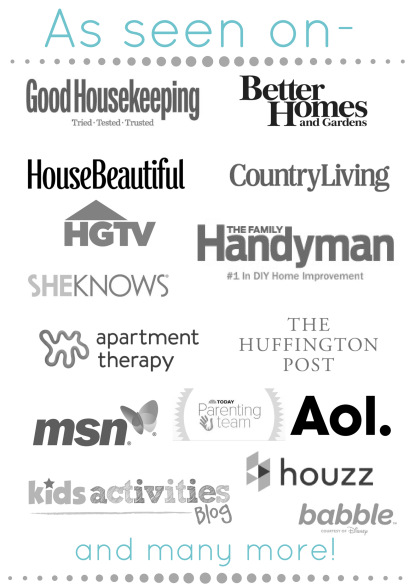 This is in no way a affiliate link or promotional post. I am just sharing what I found and wanting to help you all out. 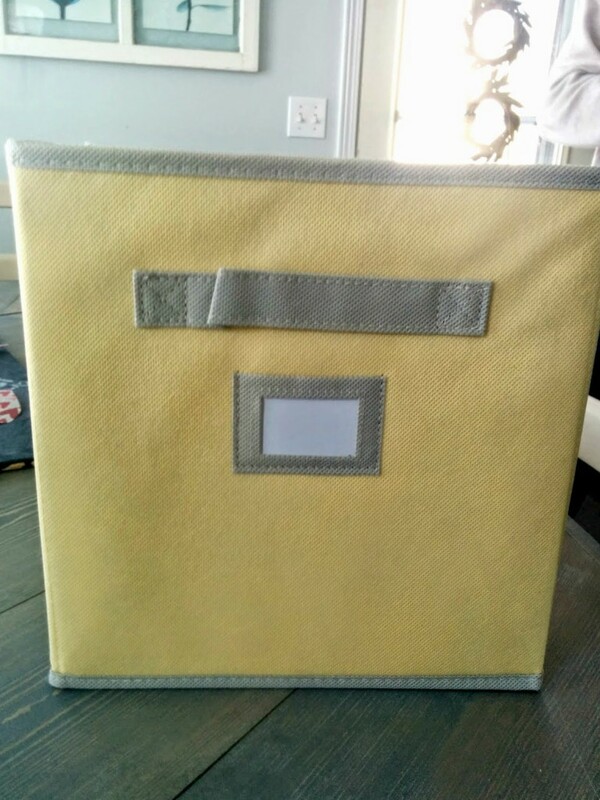 I found these amazing organization bins. There was green, yellow, and red. I could not believe my luck! This was my best case scenario. I was imagining possibly having to weave color specific paper in the shelves because I assumed the colors would not be an option. But, I was wrong. I found these, and grabbed them up before some other person took my colors. There could have been lurkers waiting to pounce. They only had one yellow left. It was mine! These were also larger bins, so there is room to put more stuff. I transferred the coordinating color limited objects into the new bin. 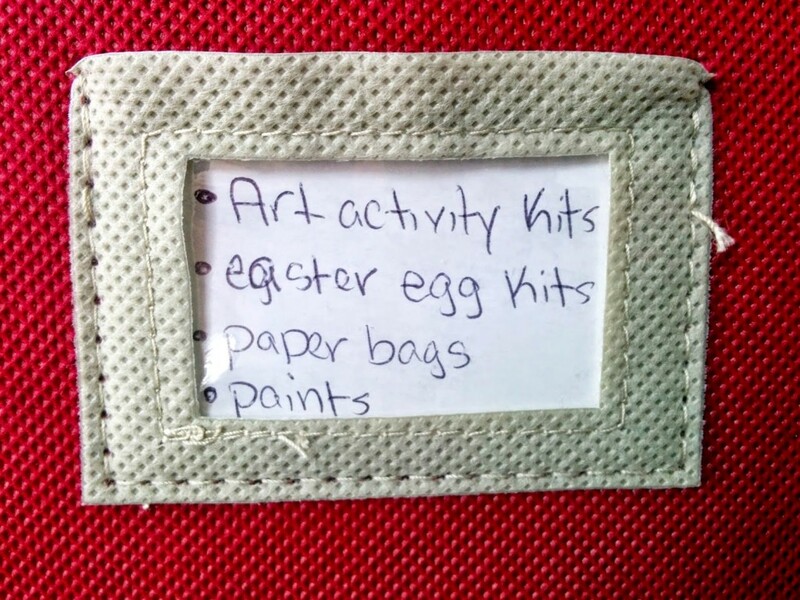 Easy transfer, I realized I am really into organization, I enjoyed this way too much. It all fits so nicely. Easy for me, the kids, or Dale to get in and see what goes where when putting things back. I then wrote what is in each bin. I would have gotten fancy by typing it out. Or making some kind of nifty label. But, this works, gets the job done. I am not a perfectionist, even though many assume I am. This closet being organized and pretty is where my happy place is. Next step in this space is figuring out a way to organize my overflowing Thirty-One bags. I still need some brainstorming to get some ideas. As most things in life, this is a work in progress. Most of our home is a work in progress. We have three kids, life, jobs, deadlines, and maybe some down time that get in the way. Who am I kidding, we don’t have down time at all. I introduced a new series here at Our house now a home called weekend DIY warrior where I will share with you the craziness and projects we are working on over the weekend. We worked on the laundry room more this past weekend. I am hoping to have a beefier tutorial on another portion of the laundry room. This was not my planned lead off post for the week. But, there is still a few things done before I share what we did with the floor in there. 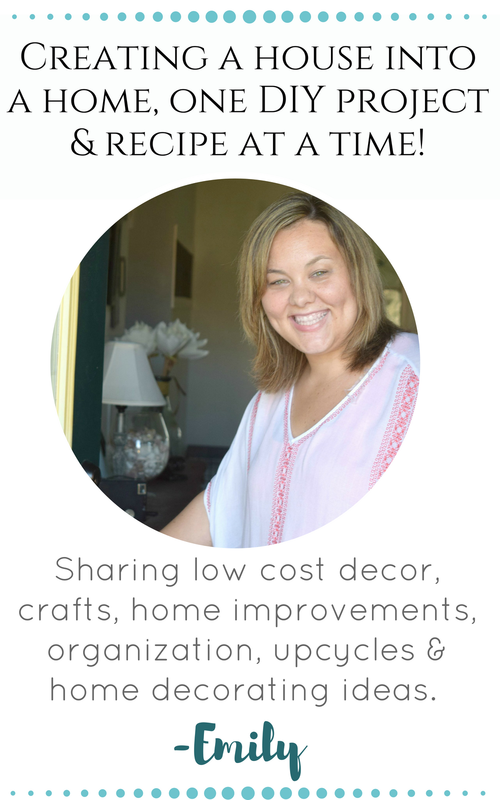 Follow along through out the week and see when that fun tutorial with lots of helpful hints pop up! On a serious note, any ideas on how to organize those bags on the top shelf better in the closet? I figure I have people here, following along, speak your mind and help me out. 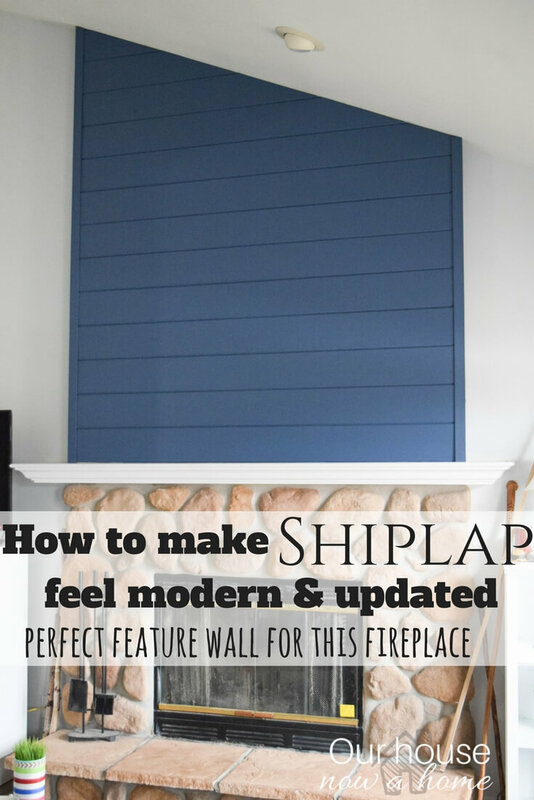 Built ins, more shelves, bags inside bags…? What do you think will work the best? Wow! That turned out great! 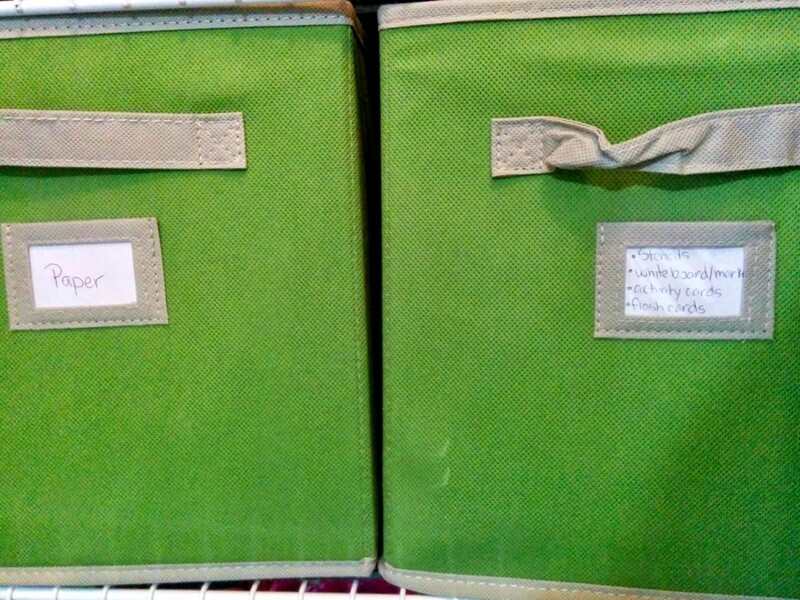 Love those canvas organizers! Thank you! These were a lucky find, just what I was looking for. I had to help out my two non readers in understanding what was safe and not safe for them to get into. It has helped a lot! Bags in a bag might be the way I go too. Thank you, good luck on your spring cleaning. I am going to go head first into that once we get our laundry room done and I know where I can put stuff. For now it is little things like the art supply closet. 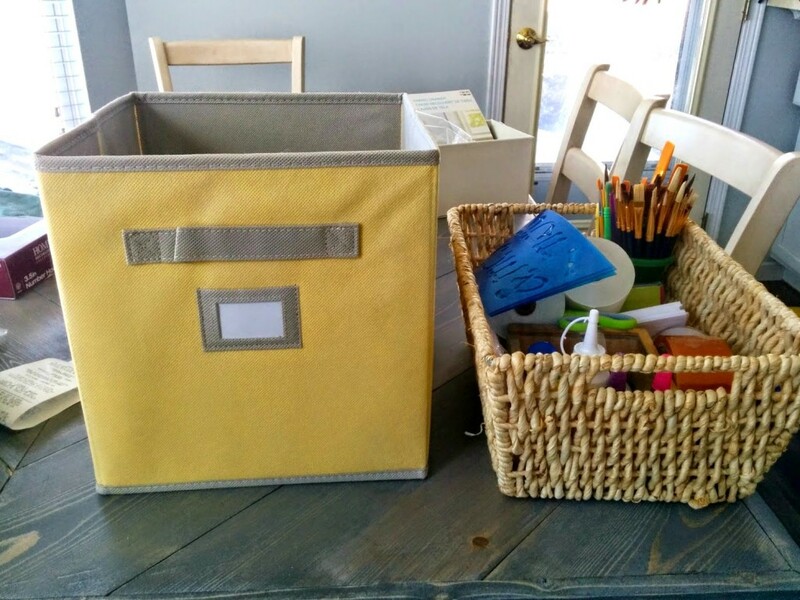 We have the same canvas bins :). Hmm, bags are difficult to organize. I tend to place the smaller bags into bigger bags. 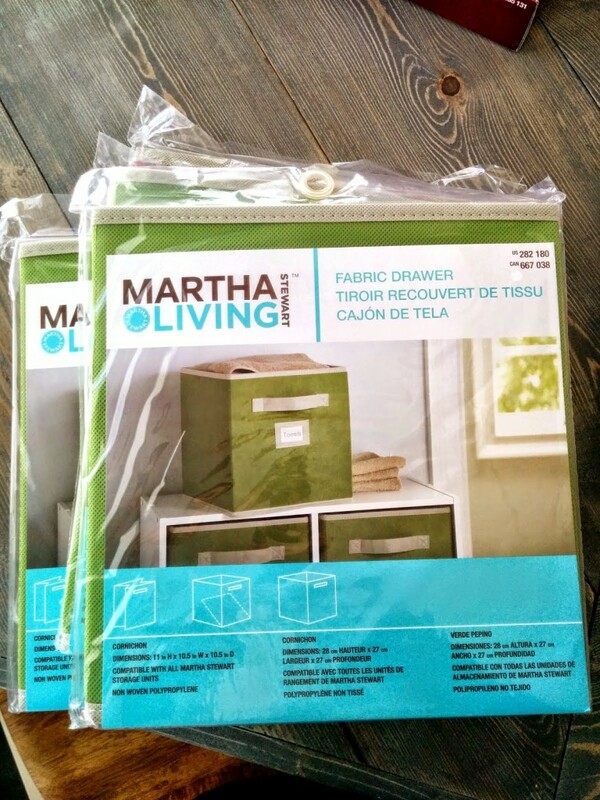 They are great bins, they are awesome… and so are we for having them! 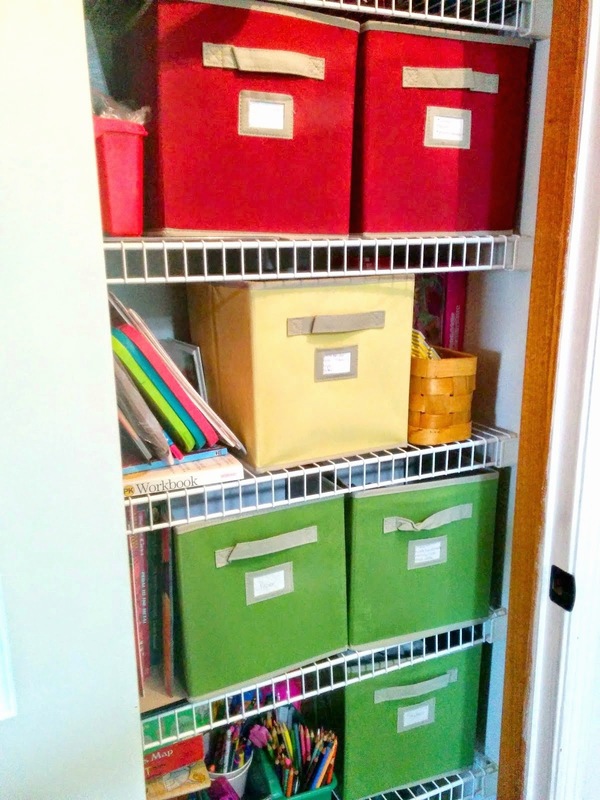 I am addicted to storage bins and I LOVE the color coding! 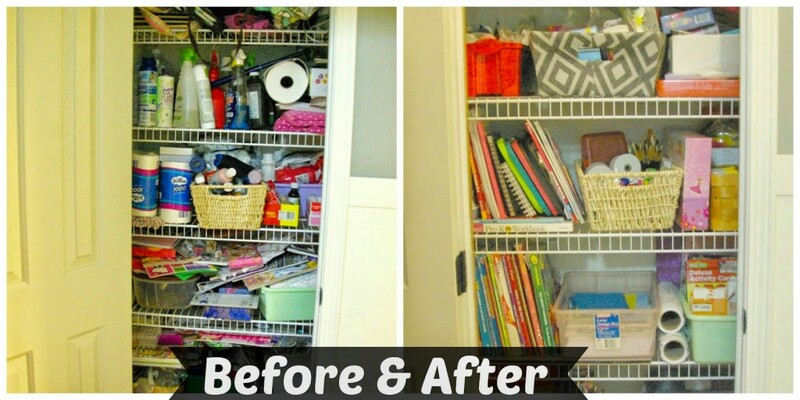 Definitely something I will keep in mind when organizing all our artsy stuff! Storage bins and baskets are my Achilles heel. If I see them in a store I have to stop and look, maybe buy 😉 The color coded idea has worked out great for my two little ones that don't read yet. They still understand the rules and see them clearly with the colors. Thank you Sarah, I will take the title of maker of the best idea ever :). It has worked really well for our kids, they understand the red, yellow and green meanings so well. They have followed the rules. 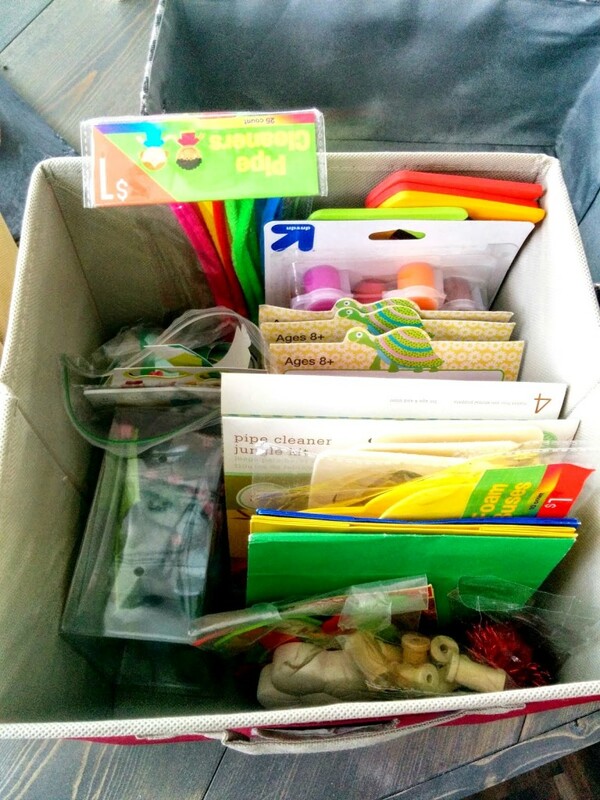 I think it is a great way to help the littlest of littles understand the rules and limits of art supplies. 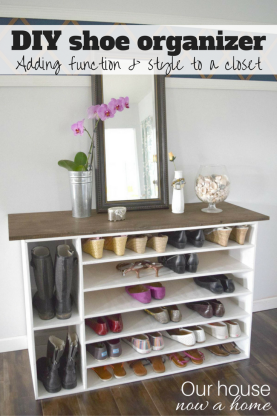 Love these storage bins! I am always on the lookout for more! 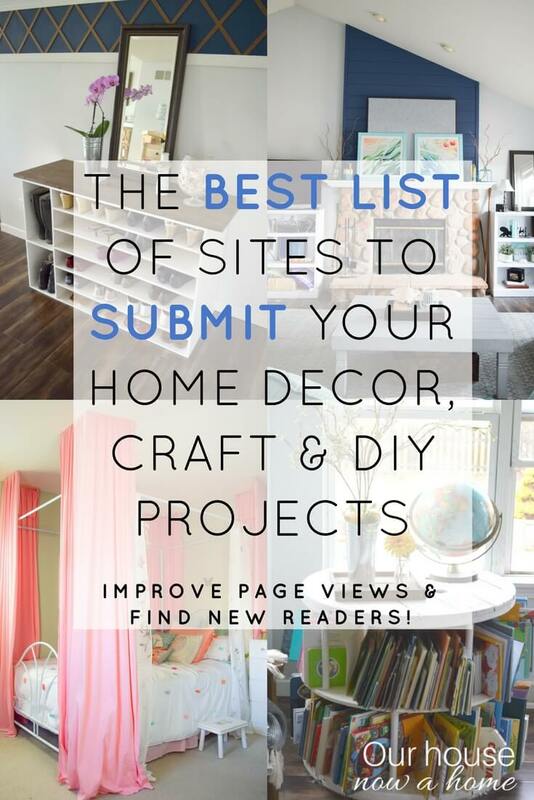 Perfect way to get organized 🙂 Would love to have you share any of your posts with us at our link party on Thursday please, Emily! Hope you have a great week! Thank you Kendra! I will head over and link up. My closets are in such bad shape. I totally understand the "work in progress" home. I love the color coding!! One thing that has worked well for me (so far) are those nesting boxes that all look the same but are different sizes. It made it pretty and uniform. But my son's closet- I might actually find the boogie man hidden in there, lol. I will have to keep the nesting boxes in mind for my next organizing need. You are so funny, the boogie man in your son's closet. They in every kids closet, right? Mess's just make them worse. This is really great. 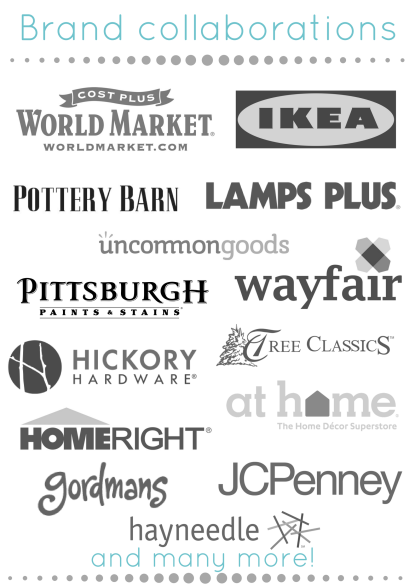 I start out with a great system, but my husband won't put things in their home! So frustrating. 🙂 Happy Friday! Oh no April, get that Hubby of yours to get it with and organize! My husband is great with putting things way. As long as there is a place to put them. If that does not exist he is lost and just makes piles. Men…. The color system has worked really well with the kids. The all can understand the red, yellow and green rules.